At Wetware Systems, we create and deliver customized solutionsfor international corporations, small businesses and other organisations with an aim to open up new opportunity and possibility for expansion, process automatisation, and continuous improvement. With vast domain knowledge and in-depth technological expertise, we are capable enough to cater needs of our valuable clientele across the globe. We deliver high quality native iPhone and iPad apps in latest technologies such as Swift, Xcode and CocoaTouch Framework. Our team of developers have delivered variety of apps such as ecommerce, taxi booking, food ordering etc. We have a strong team of Android app development and have delivered high end native apps for smartphones, tablets utilizing Java and Kotlin. 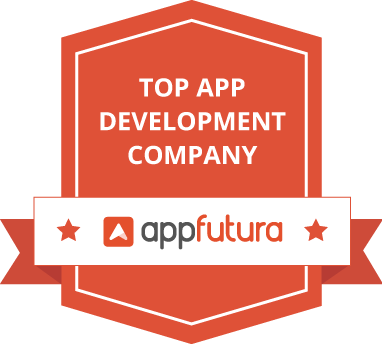 Having certified mobile developers and quality processes in place, Wetware systems has made its name in this domain. We offer high quality custom software development for Windows and Mac. Our experienced team of developers have developed variety of custom software for retail, manufacturing, real estate, hospital, hotel, e-commerce industry. Keeping ourselves neck to neck with latest trends and technologies, Wetware systems provides mobile app development in cross platform technologies such as React Native, Xamarin and Ionic and deliver high end apps in quick time frame with limited budget. We develop out of the box and intelligent chat bot utilizing Microsoft Bot Framework and Node.js. Our team has successfully delivered bots for Facebook, Skype, and support systems which has allowed our client generate the potential leads in timely manner. The developers also have hands of experience in Alexa skills development. Wetware Systems providers web development in latest technologies such as ASP.NET MVC, Node.js, Angular, React.js. Our solutions are custom tailored as per business requirement and also provide desired scalability for future enhancements. We follow agile methodology tht ensures quality and time delivery. Wetware Systems Private Ltd. operated electrical contracting business that has been operating on in Jharkhand, West Bengal (durgapur) since 2014. The Company Director is a highly professional electrician and highly educated. Wetware Systems specializes in Electrical Survey, RMU installation, Meter installation, PSS development and transformer maintenance. Our Staff is highly professional and dedicated towards their work. They are very hard working and respect their work. We believe in team work. Energy providers rely on accurate utility transmission surveys and maps to install and maintain the infrastructure needed to provide reliable energy and protect public safety. By using advanced remote sensing technologies such as mobile and airborne LiDAR, conventional ground survey methodologies and subsurface utility engineering (SUE) techniques, Wetware Systems Pvt Ltd can safely and efficiently collect the accurate, high-density data needed to map transmission line corridors, conduct distribution circuits planning and develop vegetation management plans. But data collection covers only a portion of the utility transmission survey services we provide. Our advanced geomatics specialists also process data, furnish preparation and mapping for easement acquisition, create computer models and videos, develop work prescriptions, conduct vegetation inspections, coordinate regulatory compliance, and generate deliverables that meet the specific requirements of each client. Wetware Systems PVT. LTD. has set its benchmark in jharkhand for RMU installation and well known contrator for this task. We have shown our clients that we can perform more than 200% and can finish our contract before other competitor. We have installed more than 200 RMU in jharkhand and automate the process. Wetware Systems PVT. LTD. installed over 180 sectionalizer in jamshedpur Scada project under R-APDRP. We do more than just mobile app development, app design, prototyping, and marketing. Wetware Systems has broden its area in different verticals and industries. We provide high quality services in every aspects. We are on-stop IT solution providers with expertise in mobile App, websites and custom software development. Wetware Systems targets to be part of your company and will go extra mile to craft a project team for your specific demand. When kicking off with wetware systems, our client focus on their business while we drill the entire development process and create flexible, reliable, robust, scalable and up-to-date solution.